External Works Roads and Drainage: A Practical Guide bridges the gap between theory and practice in building, construction and civil engineering, providing practical guidance, and the knowledge required 'on the job'. 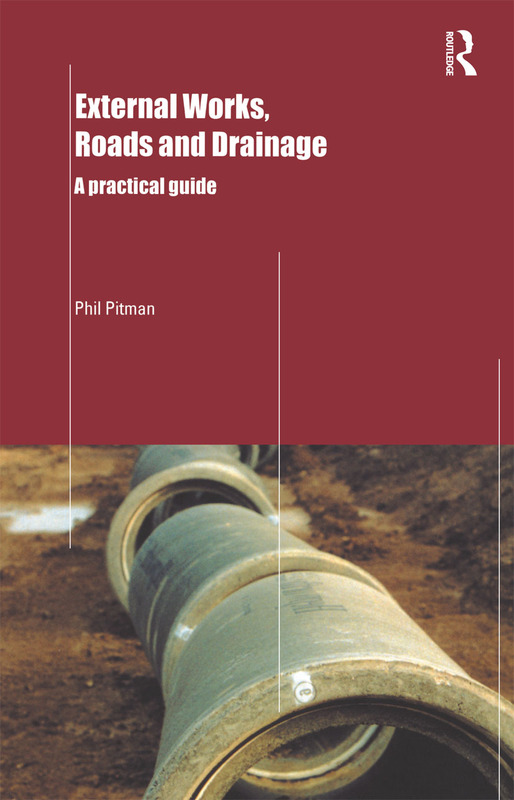 This comprehensive book includes sections on legislation, environmental issues, surface water, highway and foul drainage design, road and pavement design, and external works. Preface and Acknowledgements. 1. Design Preliminaries 2. Essential Legislation 3. Consultations and Agreements. 4. Environmental Issues. 5. Drainage Design. 6. Surface Water Drainage. Highway Drainage. 8. Foul Drainage. 9. Sewer Rehabilitation and Repair. 10. Pipe Laying and Materials. 11. Roads. 12. Bitumen Technology and Testing. 13. Aspects of Pavement Construction. 14. Road Design. 15. External Works and other Surfaces. Index. Phil Pitman has worked his way up from being a junior land surveyor to a Civil Engineering Technician with his own design and engineering services consultancy. With eighteen years' experience in the industry, including work for the local authorities and private companies, Phil's principal areas of expertise are in the design of highways, drainage systems and consulting on technical and legislative issues.